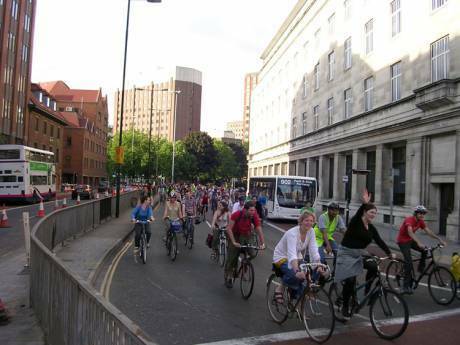 There is a report of a road rage incident during a Critical Mass gathering of cyclists. Apparently a car driver decided to ram a cyclist who was in their way, and then tried to drive from the scene. Another cyclist tried to stop the car driving away and was arrested by police. Eye witnesses say that the car driver was not arrested for their hit-and-run actions, even though there were plenty of witnesses about.